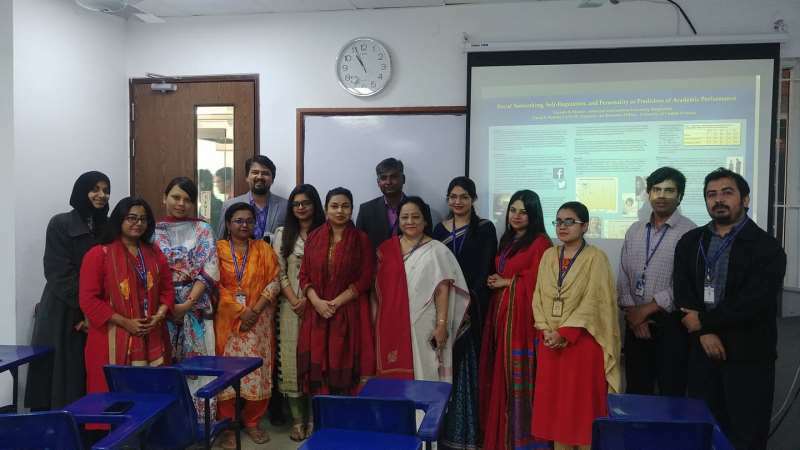 As part of its regular practice the Department of English, AIUB organized a seminar on 14th February 2019 on teaching learning practice. Kuntala Shabnam Parama, Assistant Professor of the Department of English, AIUB presented a paper on “Impacts of the use of Social Networking sites on the Academic Performance of the Students”. Faculty members along with the Head of the Department of English and some students were present in the seminar. The presenter conducted the research back in 2017 during her academic research in the USA. 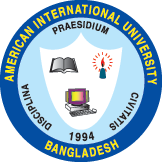 The research was conducted on the junior and senior school graduates in USA, who maintained a logbook mentioning authentic information about their use of social networking sites. The researchers along with her co-researchers followed the academic records of GPA of the same students with their permission. At the end of the research, it was found, that the time spent on social networking sites had no direct correlation but the students’ self-regulation had serious correlation with their academic performance. After the paper was presented, there was a lively question answer session between the presenter and her audience about different aspects of the presented study.